This product is available in Ebay, Snapdeal. At ebay.in you can purchase HealthSense PD-102 Smart 3D Pedometer Watch for only Rs. 1,549, which is 10% less than the cost in Snapdeal (Rs. 1,713). The lowest price of HealthSense Smart 3D Pedometer Watch PD 102 was obtained on April 20, 2019 7:45 pm. Many features and quite big on your hand. One who need those features should buy the product without a doubt. 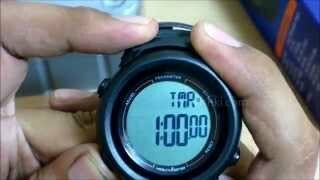 Good pedometer and which works properly. But i found a problem battery defuse after one month use and i replaced battery now it is working properly. The built qauality is toogood good straps, metal parts are cent percent stainless thanks to amazon for this praoduct. It was a little complicated to start and set up. However once you follow through the instructions and get it set up it is easy and accurate. I use this for my walks and it gives a good read of calories, time, steps, average speed and distance. I even set up a timer that makes it easy to track my walk. 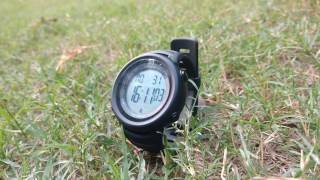 Have been using it for a year .. amazing product.. a faithful companion for my daily runs ..
Have been using the watch and it works perfectly. The pedometer is very accurate. And the option to switch between run mode and walk mode is pretty cleaver. Inaccurate data. While sitting also the pedometer count goes on. Good looking product but fails to its basic expectation.